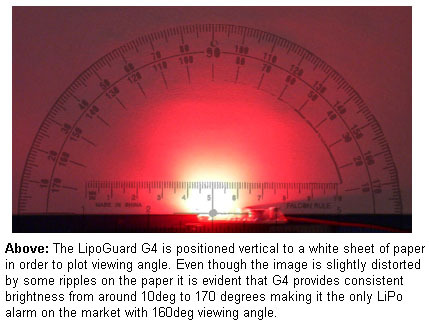 The LipoGuard G4 is mainly targeted at the battery powered model aircraft market providing an early warning to the pilot of impending battery exhaustion. 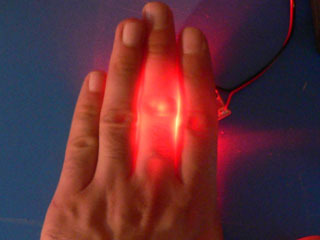 Although compact in size, G4 utilises the latest micro-controller technology to achieve precision voltage measurements via digital signal processing techniques and offer fully configurable operation. It’s simple yet clear visual indication can be easily seen on the brightest of days. The LipoGuard G4 is without a doubt the brightest flight pack monitor.